The proposition of the petitioner was that a genetic mother is required to be placed on the same pedestal as the natural biological mother is placed, for as Oprah Winfrey has said, “Biology is the least of what makes someone a mother”. 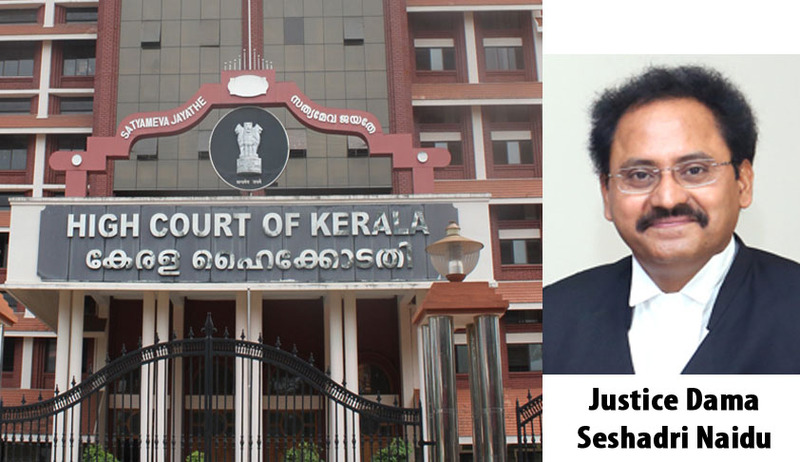 The Court was hearing a Petition filed by P. Geetha, Deputy General Manager, Kerala Livestock Development Board which is a Government of India undertaking. After remaining childless for over twenty years, the petitioner, along with her husband, had recently entered into an arrangement with a fertility clinic in Hyderabad, Telengana State, to have a baby through surrogate procedure. A baby was born on 18.06.2014 through a host mother, and handed over to the petitioner, the genetic mother. The petitioner had then submitted an application for leave with a view to look after the new baby, with effect from 19.06.2014 'as applicable for child birth in the normal process'. She was however informed that the Staff Rules and Regulations do not permit any leave to the employees on maternity ground other than the maternity leave envisaged under 'normal circumstances'. The Writ Petition was filed challenging this refusal. She was to be dealt under the Kerala Livestock Development Board Limited Staff Rules & Regulations, 1993. Rule 50 of these Rules clearly provides for leave up to 90 days from the date of commencement of maternity leave. Maternity benefit is admissible to insured women in the event of confinement or miscarriage etc., for 12 weeks and the rate of about 100 percent of the wages. It also specifies that maternity benefit is admissible in case of confinement and also in case of miscarriage. This benefit is also admissible for sickness arising out of pregnancy/ miscarriage or confinement for a specified period, additionally. The petitioner referred to a Biblical reference to Genesis 16:2 of the New Testament (King James Version) as also the Universal Declaration of Human Rights, 1948, International Convention on Civil & Political Rights, 1966, Beijing Declaration and Platform for Action - Fourth World Conference on Women, 1995, Convention on the Rights of the Child, and the Convention on the Elimination of all Forms of Discrimination against Women, 1979. The Court’s attention was also drawn to certain aspects pertaining to women and child protection in Millennium Development Goals, 2000, adopted at the UN Millennium Summit, 2000, as well as to the provisions Maternity Protection Convention, 2000. Expatiating on her submissions, the respondent contended that in the case of gestational surrogacy, the biological mother does not carry the pregnancy and give birth to the child. In the present instance, since the petitioner has undergone neither pregnancy not delivery of child, she is not entitled to any maternity benefits, which include leave as well. Accepting the petitioner’s submissions, the Court ordered that a female employee on her obtaining a child through surrogacy should be granted leave of the kind and admissible (including commuted leave without production of medical certificate for a period not exceeding 60 days and leave not due) up to one year subject to the conditions provided in the Rule itself.